Carpet Care 2000 supplies carpet cleaning and a number of related services to the commercial businesses and residential homes of Tracy, Ripon, San Ramon, Pleasanton and the tri-city area of Livermore, Dublin and Danville, California. We are fully licensed and insured to offer our professional expertise at prices you can afford. Our technicians are masterfully trained and have the experience and remarkable skills that qualify them perform any services we offer. At Carpet Care 2000 we utilize high-end products and equipment exclusive to licensed professionals to ensure maximum results. With Carpet Care 2000 you can expect not only superior execution in the services we render, but friendly customer service, high moral standards, and exceptional work ethics on consistent bases to ensure your experience with is phenomenal. Medical facilities have carpet that endure more than just foot traffic. 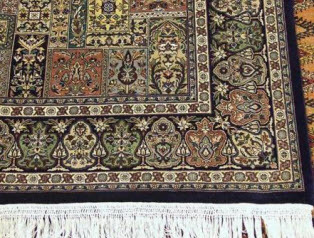 The carpets can easily be contaminated with bacteria, germs, allergens, pollutants, as well as bodily fluids and other such contaminates. Norovirus has been found to live in carpet for 12 days! Carpet Care 2000 effectively extracts the dirt and debris, neutralizes odors, lifts stains, and absolves the contaminates that influences the health of patients, visitors, and staff members. Containing as much of the causes that bring illnesses and allergies can help your medical facility operate a lot more smoothly. Carpet Care 2000 carpet cleaning services designed specifically towards medical facilities. We first remove the surface stains, odors, and filth from the carpets, and with our enhanced equipment our technicians will extract the penetrated particles from the carpet. During the process the germs, bacteria, and other contagions are thoroughly removed. Carpet Care 2000 includes a comprehensive carpet cleaning service for the medical facilities. In the medical industry, fresh and clean carpets are desirable, but with Carpet Care 2000 we do more than just clean the surfaces for the sake of appearances. Entrusting the care of your medical facility’s carpets with Carpet Care 2000 can contribute to the health concerns of your carpets. Our proven methods with the use of our techniques, equipment and detergents is just what your medical facility’s carpet needs for clean, disinfected, sanitized, and deodorized carpets! Some medical facilities have patients with poor mobility. In such cases, Carpet Care 2000 also offers a dry carpet cleaning method for quick drying carpets to minimize slip and fall accidents. Please note that we also offer carpet stretching and repairs to further minimize the risk of tripping on carpet wrinkles and bunching. –	The dingy carpets are restored. After the removal of foot traffic buildup, dirt, dust, and other such pollutants, the carpets that once appeared dull and worn, now look vibrant and renewed. –	Stains, even those that are the most stubborn, are expertly removed. Stains really mar the aesthetics of carpets. No matter how clean the carpets are, if stains are adorning the surface, the immediate conclusion is that they are filthy. 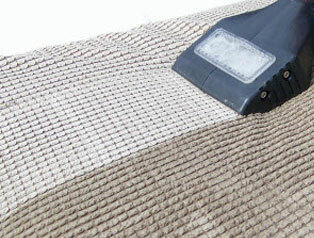 Getting the stains removed can enhance the overall clean of your medical facility’s carpets. –	Odors are neutralized. Odors often emit from filthy carpets and those that carry stains. 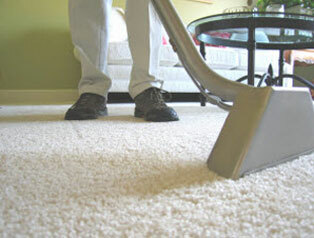 Getting the carpets fresh is equally important to the cleanliness of your carpets. –	Carpets are disinfected to protect patients, visitors, and staff from allergy inducing particles as well as contaminate that cause illness and disease. –	Maintenance is an important part in the care of your carpets, getting annual cleanings, or more often as needed, can increase the lifespan of your carpets. With so many advantages, utilizing Carpet Care 2000 services to clean the carpets of your medical facility in Tracy, Ripon, San Ramon, Pleasanton and the tri-city area of Livermore, Dublin and Danville, California is one of the better investments you can make in the care of your facility. Call Carpet Care 2000 today to get started!